1W, water pump station, 1000m2, RC Reservoir, 17.3km DI piping. 2W, water pump station, 3 R.C. Reservoir, 17.8km DI piping. 3W, water distribution system for Wadi Mousa Town. 4W, water distribution system for 3 towns. 5WW, WWTP, four WW pump stations and WW Force Main. 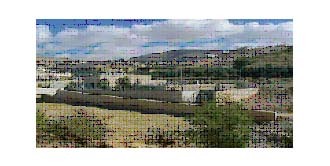 6WW, wastewater collection system for Wadi Mousa Town. 7WW, wastewater collection system for 3 Towns. 8W, WW, W & WW Force Mains, along Tabieh – Wadi Mousa Road.